The DevOps Dudes: Project Honolulu "as a server"
Project Honolulu "as a server"
So with MS Ignite behind us with and with some great new revelations, I thought I'd take a look at the newly announced "Project Honolulu". Project Honolulu (which can be downloaded here, is going to be the replacement to Microsoft's administrative MMC snap-in tools like Device Manager, Disk Manager etc. Its not replacing RSAT tools or the system center suit but to compliment them and fill the void in simply and basic administration of server management particularly for Windows Server Core. Before I begin, please remember that any thoughts/opinions in this blog are my own and are not influenced in any way but feel free to comment - I love "nerd talk", and any code posted comes "AS-IS" and you, the executor are responsible for your own stuff. Project Honolulu can be installed on Windows 10 as an application. This will then install as running process and rely on the application to be running in the backgroud. 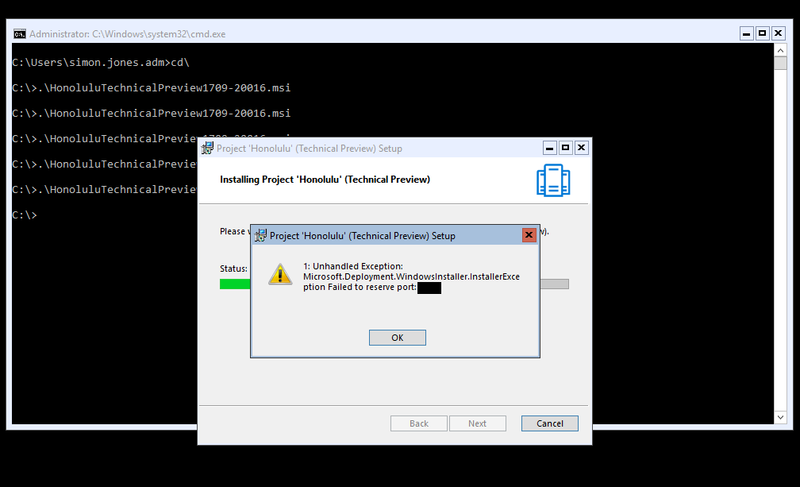 The alternative method is to install Project Honolulu on a server which will install as two components, a gateway (collecting data from server nodes) and a webserver (to present the webapp). Today I'm going to look at a server installation. To get PH up and running in gateway mode you will need…. A server. My first instinct was to secure the webserver with my on enterprise CA so, using the remote certificate snap-in (ironically) I generated a cert request file. There are other methods i.e. certreq.exe but this for me was the quickest. Logged onto my CA and completed the request. I then imported the certificate to the servers personal certificate store. Now I launched the MSI and agreed to the licensing agreement. I also agreed to allow my server the ability to update its TrustedHosts list. This is needed for managing workgroup servers. After this, I was prompted to provide a port for the web application and either allow the application to generate a self-signed certificate or specify one of my own. As I've generated my one certificate I chose to use that. Attempted to install with other ports, registered and ephemeral but with no joy? With very little details on the webserver and its configuration, my troubleshooting was pretty limited. Just as a off-change (and time being against me) I decided to install the application using the built-in self-sign function, which installed with no errors…. Odd, thoughts @Microsoft. After this, the installation went through with no further issues. Upon completion I opened a web browser and browsed to https:\\<PH SERVER UNC>:<CONFIGURED PORT>. There's a short tour to skip through and that's it. At this point I am now ready to add endpoints to be manage. By clicking on the plus sign on the right-hand side you can enter server details and credentials to be used to manage it with, awesome! At which point the PH server will gather data and manage the server using the credentials provided. Alternatively, you can give the Honolulu servers' AD object the permission to the able to manage the endpoints. As the Honolulu service runs as the NT SERVICE\Network Service, configuring the computer account with delegate permissions to manage the endpoints allows the endpoints to be managed automatically. However, my immediate reaction to this was that there appears to be no sense of roll based access control so if a Honolulu server has access to manage other servers on a network, Sys admins would quickly lose sight on what admins can do…. For example, a low-level summer intern would have the same abilities as a second-line support engineer. This, thankfully, is not the case. The NT SERVICE/Network Service simply discovers the endpoints. The administration of such endpoints is executed via remote PowerShell and WinRM but the admin executing the commands still have their credentials passed through. So, as long as our low-level summer intern doesn’t have the rights to shut down that business critical ERP server, they won't be able to using Honolulu. 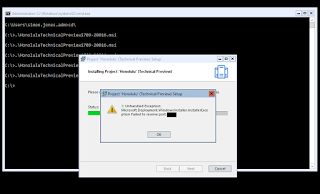 To enable the Honolulu server delegate permissions to discover the end points, the Honolulu server needs to be added to the end points PrincipalsAllowedToDelegateToAccount setting. To do this MS have kindly documented this here. I however, have taken it one step further. $nodeObjects = Get-ADComputer -Filter * -SearchBase "TOP LEVEL AD OU OF ENDPOINTS"
Now that your endpoints have been discovered, simply click on to it to see the vast amount of administration that can be done from this simply console. Along with a simply but affective overview of the endpoints performance, its quick to see how this tool will help many sys admins going forward. It has been a while since Microsoft have developed a tool that fills a genuine gap. Since the uptake on Windows server core, a number of companies having the confidence to deploy it to production enviornments has been slow due to lage learning curve needed to achieve simple/basic administration task on an endpoints. MMC snap-in fills the majority of that gap but not entirely and it is clunky at best. With project Honolulu Sys admins can now preform most (if not all administration) task from a web console…. I'm keen to see it in action. SSDT - to script or not to script!